The IELTS examination or the International English Language Testing System test has been the leading English proficiency examination requirement of different international companies and academic institutions. In the Philippines, most Filipinos who are taking the IELTS undergo IELTS training in different IELTS review centers in the Philippines. A lot of individuals are encouraged to take classes from these review centers as they promise quality education and review programs that are informative and essential in gaining knowledge for the IELTS. The test has four core language skills – reading, listening, speaking and writing. Amongst these four skills, the speaking and the writing sections are parts wherein the candidate’s skill on grammar is evaluated. Hence, it is important for candidates to use the right vocabulary and the appropriate expressions in creating responses for the speaking and writing sections. Using informal words in the speaking is somehow acceptable; however, such words should be avoided in the writing section. With this, knowledge on commonly used informal terms that must be avoided in the IELTS must be made known to IELTS test takers. There are a lot of phrasal verbs in the English language. As someone who is familiar with English, using phrasal verbs can come out naturally in speaking. However, it is suggested that in writing these should not be employed. Here are some examples of phrasal verbs that should be written in its formal term. In any kind of formal writing, contractions should never be used. Instead of having these words in their short forms, they should be spelled out. The usage of idioms is accepted in speaking as long as candidates do not overuse these expressions. In writing, they are considered inappropriate. 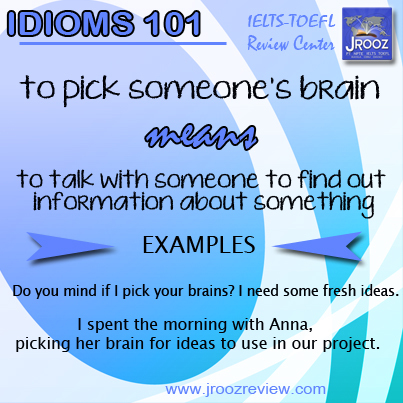 Some idioms put more emphasis on the writing. However, instead of using an idiomatic expression, candidates can opt for other ways of expressing it. For example, instead of saying “raining cats and dogs”, candidates can express it by saying “heavy downpour”. Specifically in writing, using the passive form in writing makes the response more academic. The passive voice is more concerned with the action of the verb rather the one who is doing it. Also, the usage of passive voice helps the candidate avoid too many personal pronouns in the essay. In IELTS review centers, these commonly used terms are explained thoroughly. Through the given sessions in the centers, candidates become more confident in using the English language in both speaking and writing.